Restaurateur Stephen Starr has Philadelphia's gluten-free dining scene covered. For Asian, Buddakan, Pod and Morimoto check that box. For Mexican, there's El Rey. Latin? Alma de Cuba. But how does he handle the classic American steakhouse? Quite well, I can report. At a recent media dine, my wife and I had the opportunity to enjoy a lovely dinner at Butcher and Singer near Rittenhouse Square (1500 Walnut St., 215-732-4444). The restaurant, named for a former financial brokerage there, is located in the former home of the famed Striped Bass seafood restaurant. With its high ceilings and dim lights, the dining room has the look and feel of a 1940s-style clubhouse. Most of the traditional menu carries over to the gluten-free version, with a few exceptions. 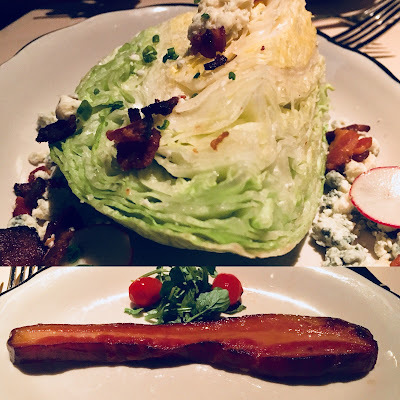 For starters, I ordered the maple bourbon bacon ($12), a thick slab of Nueske's pork that pulled apart like ribs. My wife's wedge salad ($13) was sprinkled with bacon bits and crumbled blue cheese. 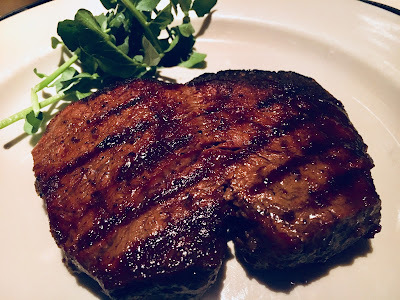 I'm sure it offends the purists, but we enjoy our steaks well done, and the perfectly charred filet mignon ($42) did not disappoint. (The fact that they steaks were marinated in butter didn't hurt either.) My wife opted to get hers Oscar-style, with jumbo lump crab meat on asparagus on top and Bearnaise sauce alongside. 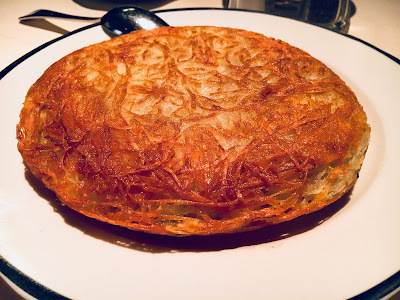 The beef was rivaled, however, by the stuffed hash browns we shared as a side, which, unlike the French fries, don't go in a shared fryer. The pan-fried shredded potatoes ($15) are loaded with Vidalia onion strings, sour cream and even more (cubed) spuds. The salty, savory dish was a worthy accompaniment to our main course. 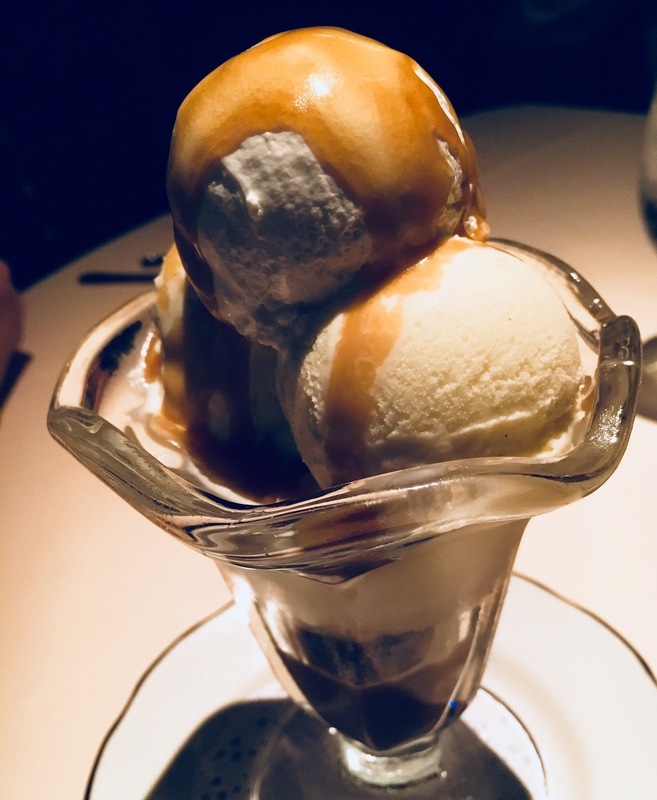 Despite our best efforts, we couldn't resist the sweet siren call of dessert; we substituted vanilla ice cream for butter pecan in the butterscotch sundae ($7). The kitchen omitted the blondie square from the glass to keep it gluten free. The drinks menu has a variety of wines and spirits, and even a Green's gluten-free amber ale ($22). 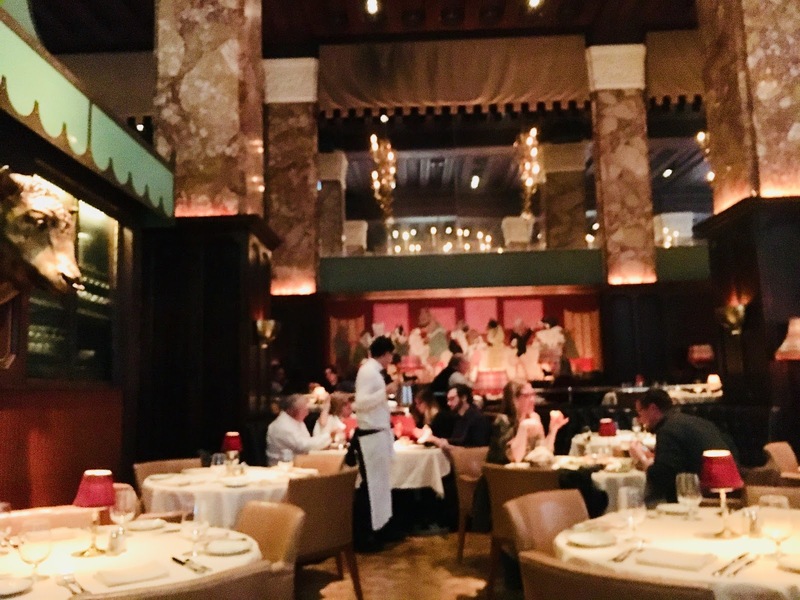 Like those in Chicago, Atlanta and other major cities, steakhouses in Philadelphia have their own styles; Butcher and Singer is classy without being stuffy. 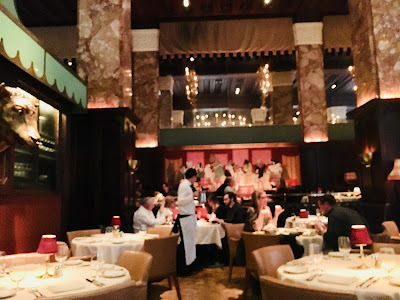 Ambience aside, though, it's the food that guests are going for, and it's the food that will bring us back to celebrate a birthday, anniversary or other special occasion. DISCLOSURE: Starr Restaurants provided us with a complimentary meal. However, the opinions expressed in this review are mine and were not influenced in any way by the compensation.